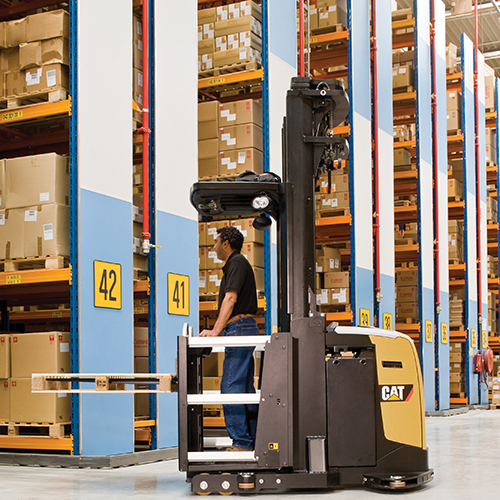 Categories: Order Picker, Warehouse Range. 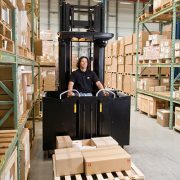 High level order picker, with 1000kg lift capacity. A market leading 11.5 meter picking height and fast lowering and travel speeds improve throughput and reduce cycle times, contributing directly to bottom line profits. The NOH10N/NH models are designed for high stability and feature excellent residual capacities. 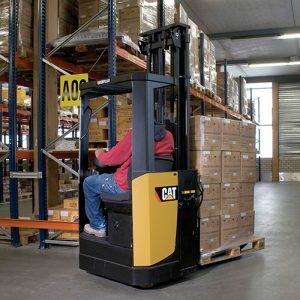 AC power gives these trucks excellent levels of performance with minimal maintenance requirements. These trucks are available in 24V (NOH10N) or high performance 48V (NOH10NH) configurations. A variety of optional features and programmable performance allows for customization to each users’ requirements, ensuring maximum return from your investment. Low service costs due to long service interval, reliable, tested components, easy access, quick fault finding, good access to major components and AC technology. 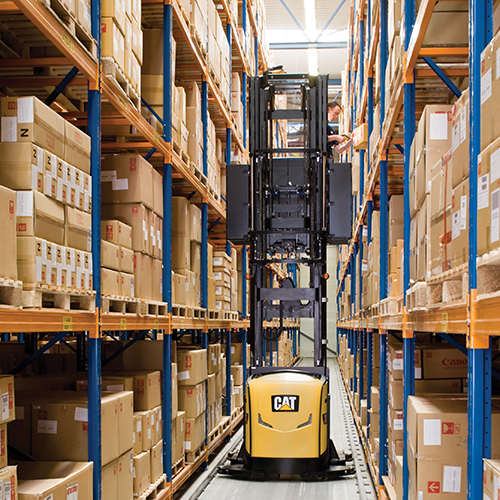 Split control unit provides good pallet access, and reduces the risk of the operator accidently touching the controls when leaning outside the cabin. 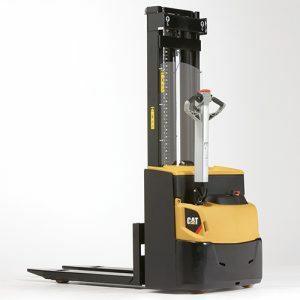 The controls can be placed mast or fork side. Active Sway Control (ASC) standard on platform heights = > 5100 mm, strongly contributes to increased driver’s comfort and confidence. 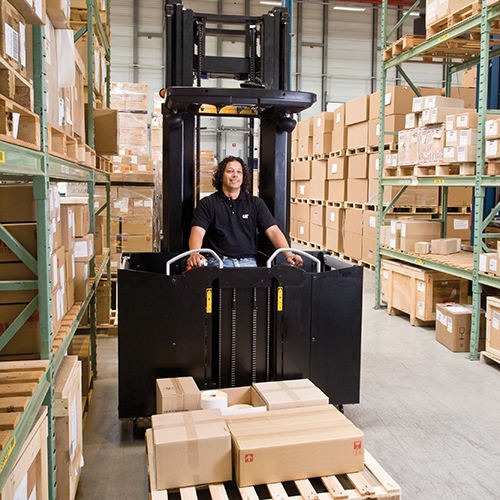 Redesigned ergonomic controls, including a joystick and a inductive hand detector for safe operation inside the aisle. Smoothly shaped lightweight aluminium side gates for comfortable orderpicking and a comfortable, height adjustable backrest. Specially designed floormat prevents slipping. Double load wheels for extra stability and low step in height of 205 mm. The lifting mechanism of the Ergolift is placed below the cabin floor giving the operator very good access to the load from the cabin. 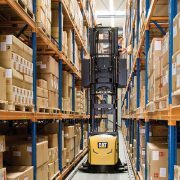 High picking height and the truck’s suitability for use in very narrow aisles permits efficient use of warehouse space. Active Sway Control (ASC) reduces the mast sway resulting in time saving on each high picking location. Highest lifting speed in the market (NOH10NH). PoweRamic mast gives excellent visibility particularly when the truck is travelling with the forks trailing. Triplex mast available for applications requiring a low overall height. Three different chassis widths and 4 different cabin widths available to allow the truck to be adapted to its application. PIN code startup combined with driver specific settings as standard. 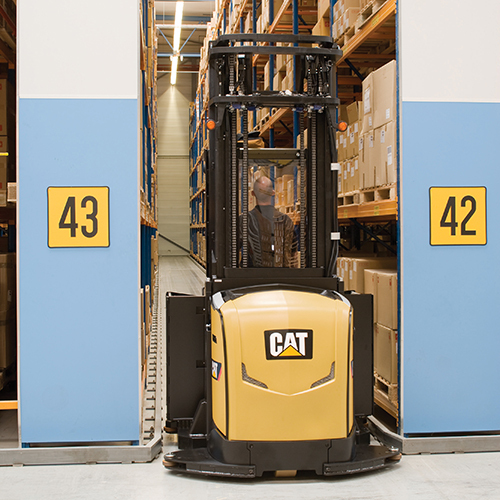 Small turning radius allows for a small transfer aisle. AC lifting & driving motors (NOH10NH). 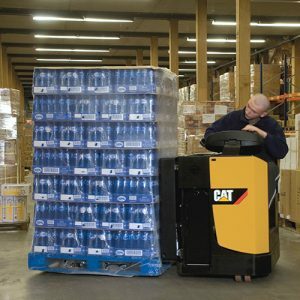 Up to 775 Ah battery capacity for long shifts. 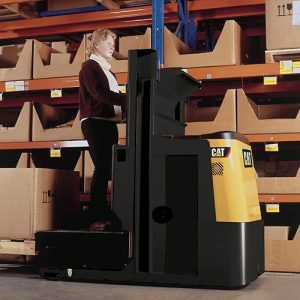 • Battery rollers included as standard making battery changing a quick and effortless process. Wire guidance and two versions of rail guidance (40 mm and 100 mm height) possible. Automatic braking at the end of the aisle. Key switch to replace the PIN code. Working lights and cabin lights. Various fork lengths and widths. Active Sway Control (ASC) on platform heights < 5100 mm.